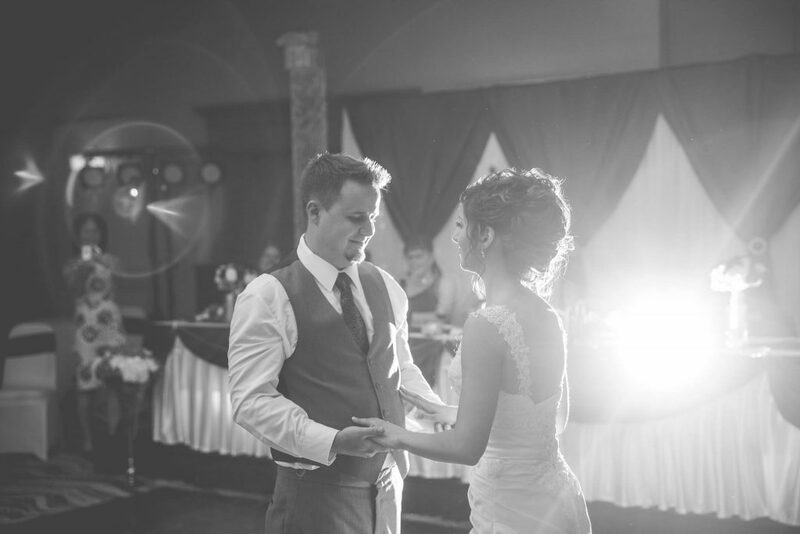 One of the focal points of any wedding reception is the First Dance. This is a tradition where the bride and groom dance for the first time together after tying the knot. As guests of honor they open the dancing and sometimes have a rehearsed or choreographed dance. The music selection for such a dance should always be a personal choice. I’ve seen dances performed to new and older songs where the couple can slow dance and embrace one another but also to faster upbeat songs where they can let loose and have a little fun together. In 2016 I had numerous choices from my clients in regards to their first dance. 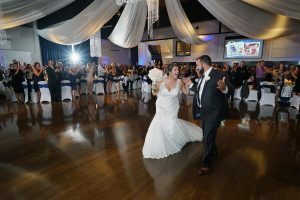 From classic to contemporary, rock to country, and waltzes or slow dances the tracks they chose were all a personal choice to demonstrate their love for one another. The couples enjoyment in gazing at one another is truly a spectacle of love. I’ve put together here all the song selections in 2016 from my wedding clients first dances. Most interesting are the differences in genre, time period and tempo of the entire 1h45m mix but one constant that never changes is the love felt by those couples who chose such songs as the opportunity to gaze deeply into each others eyes. I encourage you to listen to it in full length and feel the love it emanates. Here are just some of the examples of what my 2016 First Dances included. The mix starts off with a song by the Canadian group Blue Rodeo titled Lost Together. It’s fitting with a lyrical description of staring into each others eyes. A perfect choice for clients Christine and Jason who danced together under the stars at Pied du Rocher. Thinking Out Loud by Ed Sheeran was probably the most danced to love song in 2015 and a newer cover emerged in 2016. It’s a rendition by Canadian country artist Chad Brownlee that Kayla & Roch decided to use. The genre of First Dance songs in 2016 covered most types but it was country above all that had over a third of my clients’ approval. Newer tracks such as Wanna Be That Song by Brett Eldredge, I Don’t Dance by Lee Brice and Die A Happy Man by Thomas Rhett were all firsts in my playlist of bridal couple dances. Another first and my most favorite choice of country song in 2016 was From The Ground Up by Dan + Shay. It is such a powerful ballad tracing the family tree and building the theme of love from start to finish just as the lyrics describe it to be. Sarah and Kort chose this wonderful song and I feel honored to have helped them build that feeling at their reception. Stepping back in time, I had a few clients who decided to pick classic songs. Cristina and Vincenzo picked Unchained Melody by the Righteous Brothers, a time honored favorite, Laura and Tony went with the 1970’s spiritual Van Morrison song Into The Mystic which reflects their adventurous characters. Not every First Dance has to be traditional or classic in feeling. Take Logan and Dave’s example as they created a choreographed piece with their Grand Entrance leading up to them waltzing to David Gray’s track This Years Love. And Jessica and Dale were happy to go with a hard rock song as both are fans of groups such as Gun’s N Roses, Def Leppard and Bon Jovi. For their First Dance they chose Here For You by Ozzy Osbourne. The final song of my 2016 First Dance Mix is Collide by Howie Day. When you decide on something as personal as a song for this moment it is important to look at every aspect of your relationship with one another, good or bad. Jessica and Matt made a great pick with Collide, representing the in and outs of their relationship yet still demonstrating that it was destiny for them to find each other — to ultimately collide.  I hope after listening to this mix that you feel the love as each of my clients have in 2016. 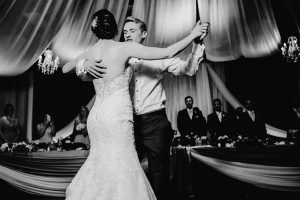 Maybe it will help you with potentially choosing your own song, or what I am really hoping is that it will allow my clients to reminisce through music the memories shared as they danced their First Dance together.